Following on from our last edition of Gauchers News, Timothy M Cox, Frances M Platt from the Universities of Cambridge and Oxford give an update below on the Gaucherite project. Many readers will know that THE NATIONAL GAUCHERITE PROJECT (Gaucher disease Investigative Therapy Evaluation) is an on-going wide-scale observational ‘cohort’ study of Gaucher disease in the UK. This project has been principally funded as the first and, so far, only genetic disorder included in the Medical Research Council’s burgeoning Stratified Medicine research portfolio. We are exploring the outcomes of treatments and quality-of-life benefits with multivariate disease stratification to define distinct types of disease behaviour. This approach is now believed to be one of the best means of tailoring treatments in particular patients with particular therapies. It also should lead to greater understanding and accurate prediction of disease behaviour and truly inform decisions about treatment. Our participants, (aged 5 years and over) with Gaucher disease, attend the eight National Specialist Centres for the advanced treatment and monitoring of Gaucher disease. As of December 2016, and now in its last year of funding from the MRC, 209 patients including 17 children have enrolled and this is a wonderful testament to the engagement of the whole community – who already contribute hugely to research efforts across the UK - and abroad. GAUCHERITE involves the collection, assembly and collation of detailed clinical and pathological information. This includes historical and present outcomes from serial DEXA and other radiological imaging, as well as haematological, biochemical and genetic data in the ultra-deep characterization of UK patients recorded with all medication. A single bespoke Biobank holding deep-frozen plasma, sera, frozen blood cells and DNA - and other diverse clinical material - is also curated for later investigation in a manner to be agreed in consensus by the Programme. The project includes two special research strands for paediatric and adult patients: the osseous (involving bone problems and the skeleton), including (multiple myeloma); and the neurological strand, involving Parkinsonism and also many ill-understood clinical aspects of the neurological effects of Gaucher disease (so-called ‘type 3’) affecting adults and children. This is now a time for taking stock of all the (fully anonymized) information we have collected in a special dedicated and easy to use data resource designed especially for GAUCHERITE to provide information for public release. With this in mind, the next step will be a formal interim analysis - funding for which is being currently sought from one of our supporting companies who have signed collaborative agreements with the MRC. In the light of the findings and the critical importance of the future outcomes of the programme, we are in no doubt that the project will have lasting value in directing future therapeutic initiatives for the benefit of all patients. To this effect, we are looking to the future to maintain the database (in effect curated by Dr CY Tan), and the services of our excellent clinical manager (Sister Kathy Page) and Clinical Research Fellows (Drs Simona D’Amore - bone – and Aimée Donald - neurological) as well as the resource of blood cells and other material in the Biobank in Oxford – under the curation of Dr Kerri Wallom, who works with Professor Frances Platt, co-Principal Investigator in Oxford. Everyone at every level – service directors, nurses, doctors, secretaries, clerks, database managers and handlers, radiologists, scientists, has done a fantastic job - despite the terrible pressures currently in the NHS. It is striking that we have had the fullest engagement - at our research away day and at the management consortium meetings - from first-rate and senior representatives of the biopharmaceutical industry. The presence of Actelion, Sanofi Genzyme and Shire at consortium meetings has been a model of collaboration and disinterested scientific behaviour at every level; our industrial collaborators have given constructive assistance freely with an excellent following at each of many meetings up and down the country. So far little money has changed hands - but know-how and ideas have been generously shared to the huge benefit of the work! We are indebted to these colleagues for their collegial support. While we have some way to go, massive strides have been made: at least 80% of the UK patient population is signed up with nearly all the children, too. I am pleased to say that we have managed recently to find some funds to maintain continuity through key clinical research staff – if not yet for complete ‘future-proofing’. This has come from the Biomedical Research Centres of the National Institute for Health Research in the NHS and needs to be expanded. 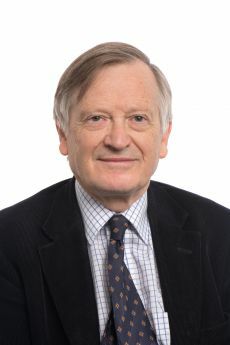 (on behalf of all investigators in the UK GAUCHERITE programme – Royal Free Hospital,London; Royal Manchester Children’s hospital; Salford Hospital, Manchester; Great Ormond Hospital for Children, London; Charles Dent Metabolic Unit, National Hospital for Neurology and Neurosurgery, London; Queen Elizabeth hospital, Birmingham, Children’s hospital, Birmingham, Addenbrooke’s hospital, Cambridge). (On behalf of all investigators in the UK GAUCHERITE programme – Royal Free Hospital, London; Royal Manchester Children’s hospital; Salford Hospital, Manchester; Great Ormond Hospital for Children, London; Charles Dent Metabolic Unit, National Hospital for Neurology and Neurosurgery, London; Queen Elizabeth hospital, Birmingham, Children’s hospital, Birmingham, Addenbrooke’s hospital, Cambridge). Calling ALL Gaucher Patients - Are you enrolled onto GAUCHERITE? GAUCHERITE is a three year study that aims to better understand the UK population of patients with Gaucher disease with a view to developing new and better treatments. One aspect of the research will focus on bone disease and another will focus on neurological disease (brain involvement). To date the study has successfully recruited 130 patients from centres around the country, the target for the study is to recruit 250 by late April to allow a period of 6 months to analyse all the data, the study funding ends in September 2017. Patients are being invited to enrol at all eight specialist Lysosomal Storage Disorder centres around the country. The clinical team at the treating centres are sending out letters to all Type I & Type III patients a few weeks before they are due in clinic, this introduces the study and includes a patient information sheet which outlines what the study is about, what data they want to collect and other important information in order for you to make an informed decision about whether or not you would like to take part in the study. When you attend your clinic appointment either your clinician and/or a member of the research team will go through the study forms with you and answer any of the questions that you may have. You can then make a decision and if you decide to take part in the study you can sign the form, the patient information leaflet can be taken home with you as a record of what the study is about. I haven’t heard from my centre? If you would like to take part in the study but have not heard from your treating centre then please contact your clinical nurse specialist and ask them to send you the introduction letter and patient information form. Then next time you are in clinic you will be able to go through the forms with them and sign up to the study if you decide that you want to. One of the exciting things about this study is that a national patient database of all UK Gaucher patients will be developed which will be a valuable tool for further research into this community to address unmet needs.